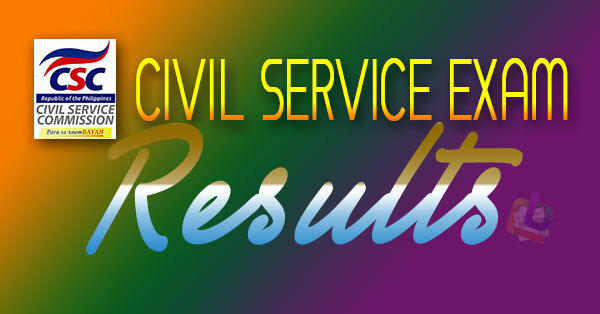 The Civil Service Commission has released the results of the CS examination paper and pencil test (CSE-PPT) held nationwide last August 12, 2018. We were provided with the full list of the complete civil service exam roll of passers for Region 11, thanks to an insider. Results from the other testing centers in Region 1, Region 2, Region 3, Region 4, Region 5, Region 6, Region 7, Region 8, Region 9, Region 10, Region 12, ARMM, CAR, and NCR are to follow. Please bookmark and visit this site every now and then for updates. 505 409467 GOHOL, LIZA C.
668 408320 MACASAQUIT, JAYCA BLANCA G.
675 408813 MADRONERO, MACTARD M.
937 408547 RUBIO, MARJORIE JONES C.